Hong Kong Convention and Exhibition Centre, Hong Kong Arts Center, and Victoria Harbor are within 3 km (1.5 miles) of this hotel. 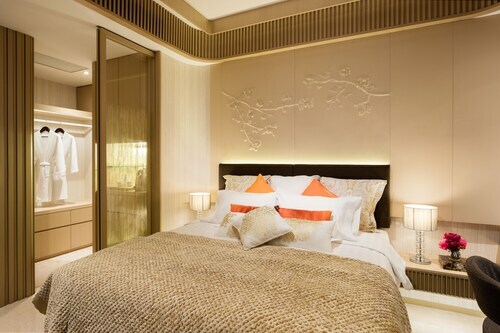 Located in Wan Chai, this hotel is within 1 mi (2 km) of Pacific Place, Landmark Shopping Area, and Hong Kong Convention and Exhibition Centre. Hong Kong Zoo and Botanical Gardens is 1.4 mi (2.2 km) away. Hong Kong Wan Chai Station is 8 minutes by foot and Hong Kong Admiralty Station is 11 minutes. 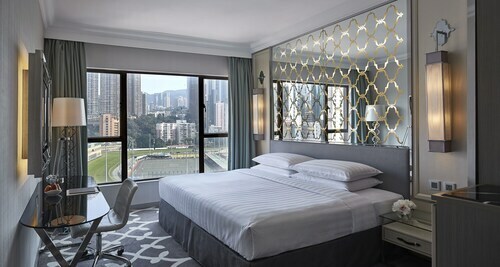 Overlooking Victoria Harbour, this Hong Kong hotel is situated next to the Star Ferry to Tsimshatsu and is within walking distance of the MTR station, offering easy access to attractions, shops, and business districts in Hong Kong and Kowloon. 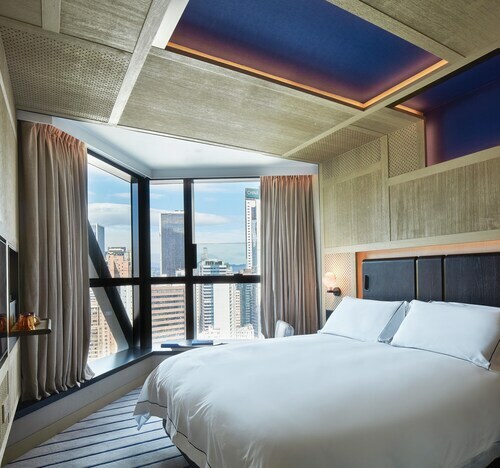 Hotel Novotel Hong Kong Century is located in Wan Chai, a 10-minute walk from Wan Chai Metro Station and the Star Ferry pier. The Hong Kong Convention & Exhibition Center is 10 minutes on foot from the hotel. It's a 5-minute cab ride to the upmarket shopping scene in Causeway Bay. 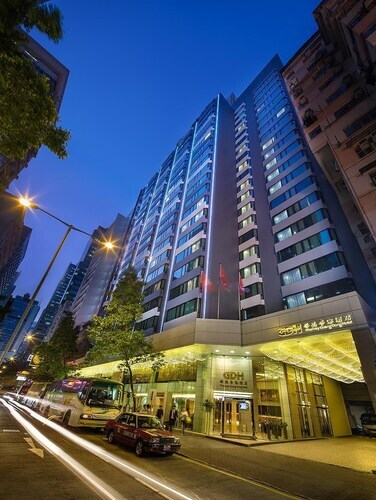 Located in Wan Chai, this hotel is within a 10-minute walk of Victoria Harbour, Hong Kong Arts Centre, and Central Plaza. Wan Chai Road and Pacific Place are also within 15 minutes. Hong Kong Wan Chai Station is 6 minutes by foot and Hong Kong Admiralty Station is 11 minutes.